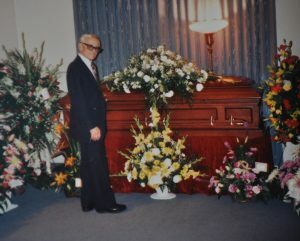 I know in my heart that Mother’s Day is meant to be a celebration; however, for those of us who no longer have a living mother . . .this day can be bittersweet. As the constant television ads and Internet marketing campaigns bombard shoppers, we are often engulfed by countless waves of nostalgic memories. The day can be painful when it should be beautiful. My mom was an at-home mother during an era when that choice was the norm. She dedicated her life to her husband, her home and her children. At a young age – even before I became a mother myself – I aspired to be as good of a person – as good of a mother — as she was. Often, I feel as if I have fallen short of my goal. On those days – I whisper and pray for signs from her – guidance to keep me on the right path. Thankfully, my mother is still inside of my head . . . helping me . . . guiding me . . . encouraging me. When I became a mother myself, it was my mother who helped me find my way. In addition, she poured her love onto my children and became an amazing role model for them as well. 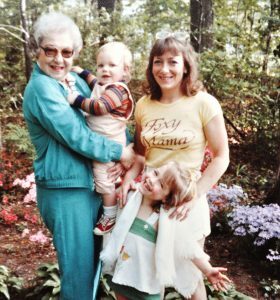 I wish my mother could know my grandchildren — her great-grandchildren – they would love her as much as she would adore them. 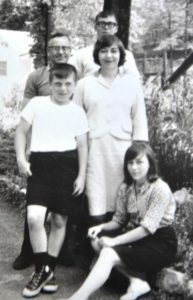 As I sit at my computer to write this blog, I first went through my tens of thousands of pictures in search of photos of my mother and me. To my dismay, there are not many of them. 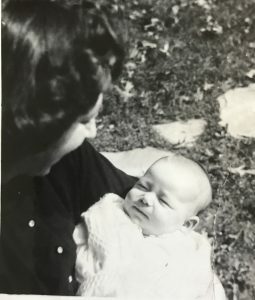 My mother did not like to have her picture taken, and when she became ill – battling with cancer – she REALLY didn’t like having her picture taken. Thankfully, there are a few I can savor and share . . . and pass along to the generations who will come after her. For those of you who do not know me . . . I’m a photoaholic! Yes! I know that is not a word . . . I think I just made it up. Definition: 1) a person who constantly takes pictures and 2) a person who annoys others by taking too many pictures. When I was a child, my father was the family photographer; however, film & developing were expensive in those days . 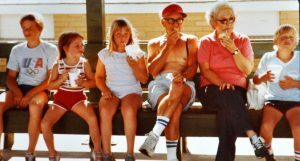 . . plus his passion was taking pictures of buildings, statues, landscapes, etc with a random family photo now and again . . . rarely with all five of us at the same time. How is it possibly that I loved my mother so much, yet I have so few pictures of her with me. Subconsciously, I think my obsession with family pictures stems from this quirk about my own life. I don’t want my children or my grandchildren to have such a limited amount of pictures of family – as a result, they will be inundated with far too many. Such is life. But I digress. For those of you who will celebrate Mother’s Day with your family in tact – some lovingly – some begrudgingly – please remember to enjoy your day. Take the time to listen to your mom, embrace the moment and share part of yourself with her. 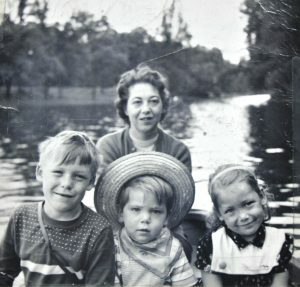 I lost my mother twenty-six years ago. Although I feel as if I am healing with the passing of time, there are occasions when the pain is still very raw. 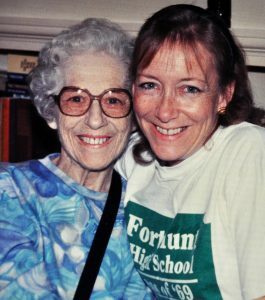 I miss my mom every day – and especially on those days when I want to share pleasant experiences, family gatherings and personal successes. I miss her even more during those days when life is not so easy . . . and I’d like to talk to her about it. My mother and I were very close. 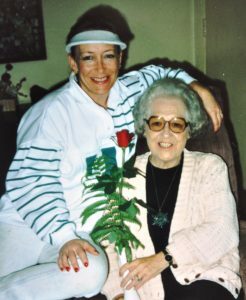 I have a lot of friends – many of whom are very good friends – however, my mother was – and will always be – my best friend. She knew me – she understood me – she loved me unconditionally. I may have disappointed her at times, but she never used her love as a weapon to promote guilt; instead, she enveloped me with her positive attitude, her steadfast determination and gentle benevolence. She was a good listener, a great counselor, a fabulous role model and an amazing woman. Happy Mother’s Day to all — and remember – whether you are with your mother today or not – she is with you!